Samridhi Grand Avenue is the new beautiful project, crafted by the renowned Samridhi Group. It is the most admired and trusted group in real estate, which has delivered excellence in all its projects. Their projects are built by internationally acclaimed architects, engineers and planners. They are transforming the way the people lives and raising it up to a new height. Spreading over 7 acres of area, Samridhi Grand Avenue is located in Tech Zone 4, Greater Noida, offering magnificent 2/3 BHK apartments. It is a well planned project and everything is perfect, from spacious apartments to wide roads, abundant greenery to amazing structures. Location is the major advantage, it has 5 minutes drive from Noida, 10 minutes drive from Noida sector 62, 20 minute drive from Yamuna Expressway, 20 minutes drive from Delhi and it is adjacent to corporate hub and proposed metro station. There is 70% green area and it has 11 towers of G+22 floors and 1 tower of G+35 floors. There is a landscaped view of low and high rise buildings. The various unit plans are 2 BHK + 2 TOILET- 980 sqft, 2 BHK + 2 TOILET + STUDY – 1080 sqft, 3 BHK + 2 TOILET – 1380 sqft, 3 BHK + 3 TOILET – 1610 sqft, 3 BHK + 4TOILET + SERVANT- 1685 sqft. • Club with facilities like gymnasium, multipurpose hall, steam, sauna, Jacuzzi, spa, saloon, swimming pool with kids pool, recreational facilities, amphitheatre, changing room, sports, health, leisure and entertainment facilities. • Gated entrance, 24*7 security, rain water harvesting, CCTV cameras for general areas, kids play areas, high speed elevators, landscaped court, plentiful parking space, intercom in every apartment. • Earthquake resistant RCC frame structure, wooden flooring in one bedroom, vitrified tiles in drawing, dining and bedrooms. 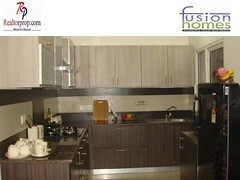 It has a semi modular kitchen with granite working platform, ceramic glazed tiles, stainless steel sink. Anti –skid ceramic tiles in toilets and balcony, exterior have superior paint finish, interior walls are coated with POP punning and OBD. In electrical, there is copper wiring in concealed PV conduits, sufficient power points, MCB supported circuits, DTH connection. The apartments have a reasonable price list and flexible payment plans, Realtorprop providing the best deals in this project. It is the real estate solution company, where anybody can get latest news about any property in Delhi Ncr, and get answers to the query like what is going in the real estate market, what plans are government making, which project is going to be best for investment and what the best offers are. Realtorprop is the one platform of for all real estate solution.